Welcome to Garbology Lite! Here you can find fun and interactive activities for the classroom that are free to download. These are perfect both as standalone activities or complementary within other subjects such as Science, English and Math. The activities develop knowledge on sustainable consumption and responsible waste management while promoting communication, reading, critical thinking, and creative skills. 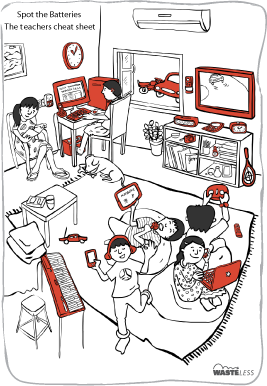 The activities are available to download one at a time both in English and Tamil. We highly recommend starting with the ‘Introduction to Solid Waste’ activity as this provides a fantastic overview of how waste is generated and its impacts on animals, the environment and us. As we continue to improve our materials and activities, we request all users to fill in a short survey. This will allow you to access more of our creative and engaging educational tools while at the same time joining the global fight on garbage through education. This fantastic introduction to waste gets students to investigate where waste comes from, where it goes and how it affects animals, the planet and us. The linear human system of production is contrasted with the cyclical system of nature to highlight that compared to humans, nature leaves no waste. Looking at the amounts of waste generated by different countries allows students to compare how lifestyle and consumption patterns affects the production of waste. Students will learn some fun facts about waste and be inspired to adopt positive habits for a healthy planet. The activity guides students 6-15 years old with critical thinking, communication and comprehension in the subjects of English and science. 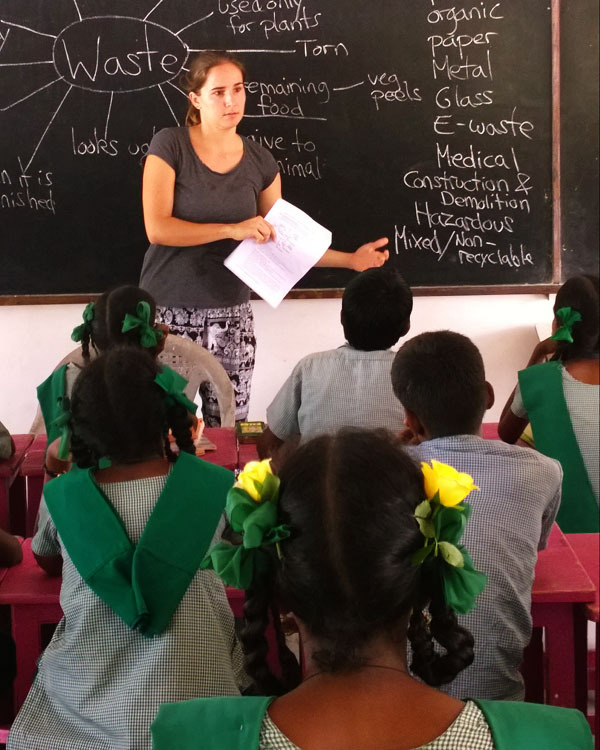 This fun and interactive class teaches students about the importance of separating waste at source. If we as a society would separate our waste correctly then 85% of our waste problem would be resolved! Using teamwork and physical/motor skills students will race against each other to see who can correctly separate waste into their proper categories (plastic, paper, metal, glass, organic, mixed) in the quickest time. This is followed by a lively discussion on the benefits of proper separation and disposal to create a safe and clean environment. This activity for 6-15 year olds teaches students to work as a team, separation and categorisation skills and helps develop physical fitness and motor skills. In this fun fact-filled activity students compare and contrast two waste disposal methods - landfills and open dumps. The students explore the amount of time required for different waste items to breakdown/decompose. Through discussing the waste hierarchy, students will be empowered to save the planet by choosing the best ways to manage waste through their consumption and disposal. Students 11-15 years old will gain knowledge in maths and science by developing skills of differentiation and classification as well as communication and problem solving skills. The packaging of everyday products generates mountains of garbage. In this fun activity students will take a critical look at packaging they bring from home. Students will learn why and when packaging is used. They will then assess the usefulness of some packaging items and their impact on the environment. In groups they will explore the advantages and disadvantages of the most common packaging materials. This will give them the knowledge to make more informed decisions when shopping and save the environment – less pollution is the best solution! The activity will engage students 10-15 years old to think critically, communicate and create solutions to food items packaged in different materials. 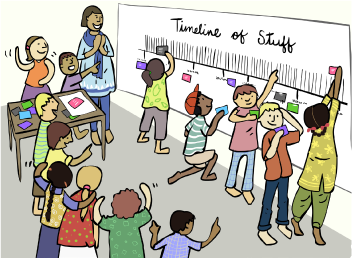 This fun and creative classroom activity gets students to design a visual representation of the history of five packaging materials. In teams students work together to research and categorise different types of waste. As a class they create a timeline of each material and how these have changed over time as society has evolved. Students learn interesting facts about the materials that we use in our daily lives. They reflect on how changes in our lifestyle and consumer needs can positively reduce the type and amount of waste we create. Students aged 10-15 will work together to develop communication and visual skills and knowledge relating to science, history and maths. This activity gets students to investigate the things that power our modern world, batteries! By identifying everyday items that use batteries, students learn that most of our modern gadgets are run on different types of batteries. They will learn about different types of batteries, single use or rechargeable and the advantages and disadvantages of each one. Gaining knowledge on the different types of batteries and their impact allows students to understand how to choose, use, store and dispose of batteries safely. This activity for 7-15 year olds allows for creativity and develops observational skills and teaches general science principles. 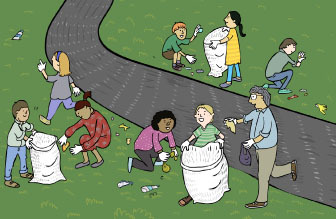 This activity gives students a chance to play an active role in making their community beautiful. At the same time they will learn more about what type of waste is littered and why. Students will organise their own litter clean up and follow this with a discussion on what the behaviours and thoughts behind littering might be. They will then develop their own solutions towards minimising litter in their community. 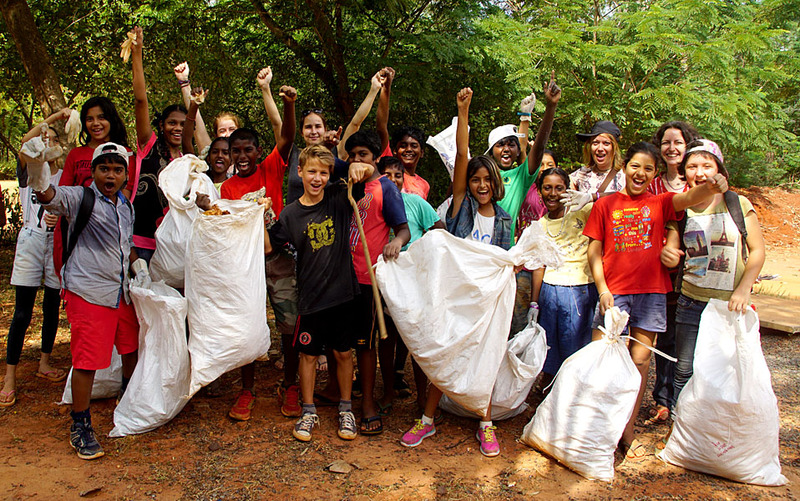 This activity helps students to lead by example and inspire others to work towards a cleaner environment. Students 10-15 years old will learn cooperation and team working skills during the light physical activity. Students in this activity will take an in depth look at the journey of soft drink packaging. Students will compare and analyse the energy, raw materials and waste of 3 common soft drink packaging materials: aluminium, glass and plastic. By adopting a systems approach students will uncover the inputs and outputs across the different stages of extraction, production, distribution, use and disposal. In groups they will create a systems map for each type of packaging and discuss which packaging is the best. This activity for 10-15 year olds involves teamwork, critical thinking and research and presentation skills on the topics of science and English. Over half of the plastic we use is disposable and gets thrown away after one use! 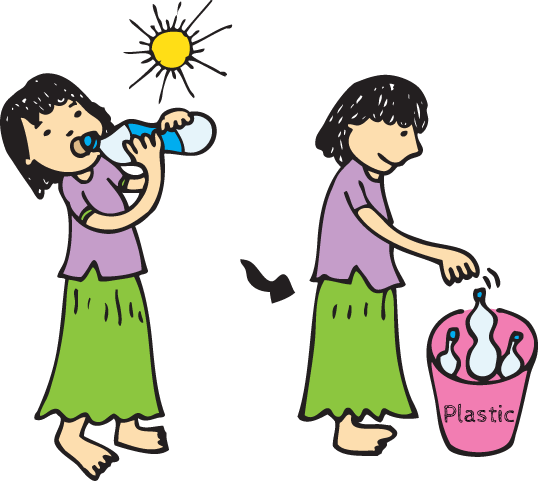 In this interactive activity students track what happens to their plastic bottle after they throw it away. Following the journey of the lifecycle of a plastic bottle teaches us about how plastic is made, and allows students to discover the stages involved in recycling a plastic bottle. A class discussion considers how students actions can help to improve the environment by reducing, reusing and recycling their waste. In this activity, students 5-10 years old will get to practice their reading, communication and creative skills in the subjects of English and science. We want to collaborate with other organisations that are passionate about the environment and education. If you are interested in partnering with us please contact us.